Year Zero is the future date when all wild animals are gone. Words by Dr. Sailesh Rao. In 2015, I was visiting India on a project field trip when the main news in New Delhi was the spate of farmer suicides occurring on a daily basis. And I was shocked to discover that the farmers were committing suicide because they had harvested a bumper crop of potatoes! The price of potatoes plummeted and many farmers were dumping their potatoes by the side of the road instead of taking them to market in New Delhi. They were then drinking pesticides and killing themselves because they couldn’t repay their debts. Read more. By McKinley Corbley for Good News Network. 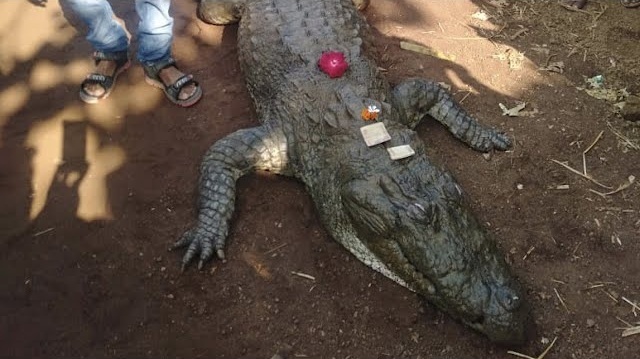 Though most people might be afraid of a giant crocodile, this particular reptile has always been considered a beloved part of his village. So when he finally passed away of natural causes earlier this week at the age of 130, the village gave him a funeral fit for a king. 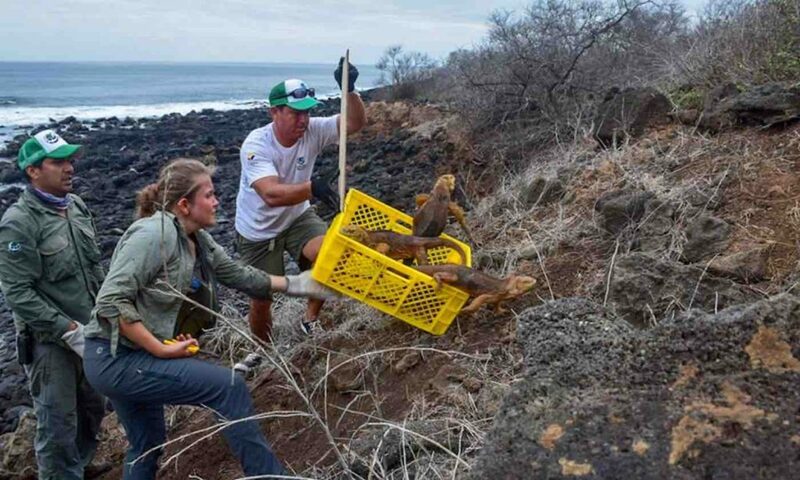 It has been almost 200 years since land iguanas were seen on this region of the Galapagos Islands – but thanks to an intensive park restoration project, the reptile has just been reintroduced to its natural habitat once more. By McKinley Corbley for Good News Network. Photo by Sea Life Trust. 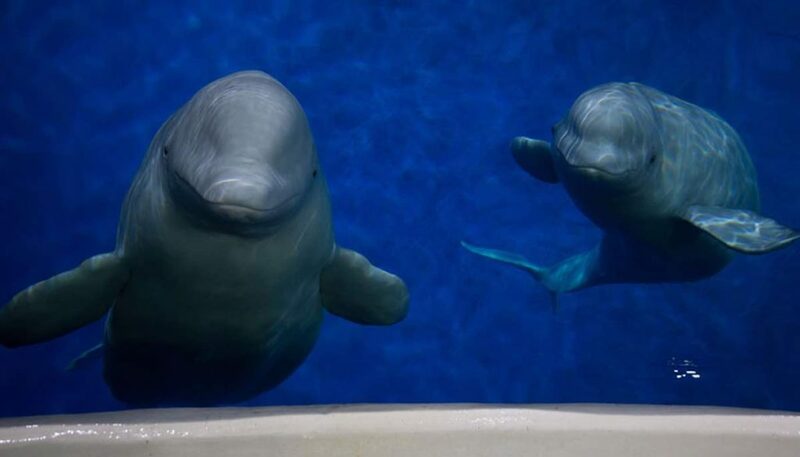 These two beluga whales have been performing for spectators at a water park in China for the last 7 years – but soon, they will be the residents of the world’s first retirement home for oceanic animals in show business.